Home is not necessarily where you are from, but where you feel like you belong. Some search everywhere and endlessly to find it. But for some, they find it in a person. To find home within a person, to find a person that makes your heart whisper in confidence "I am here, I will be here, and I am with you." Finding the person I can call home is when I learned that home is where the heart is. Lately I have also found a sense of home in creating and I hope it abides as a constant from now on. 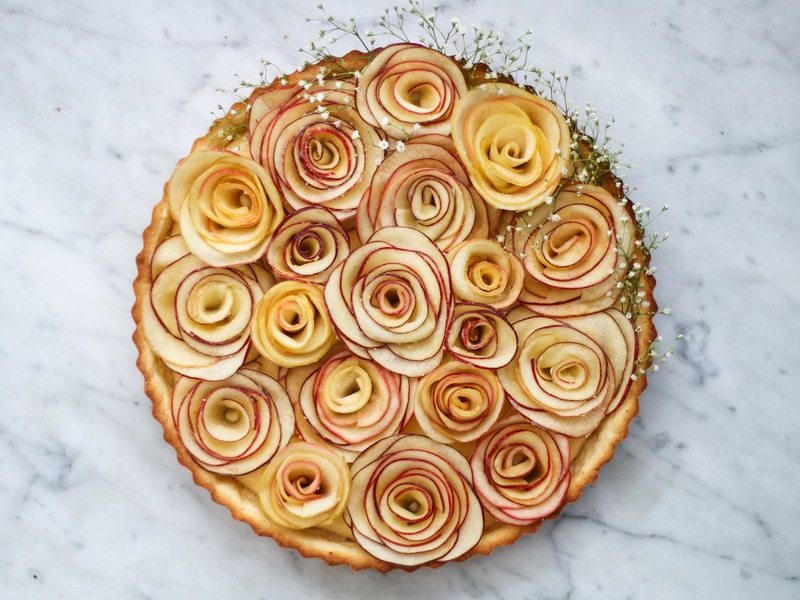 Whether it is creating a simple white cake adorn with delicate stems of garden roses or creating an image, not necessarily of a cake, but of simple quotidian things from which I find joy and comfort, I have found a renewed and complete sense of home. 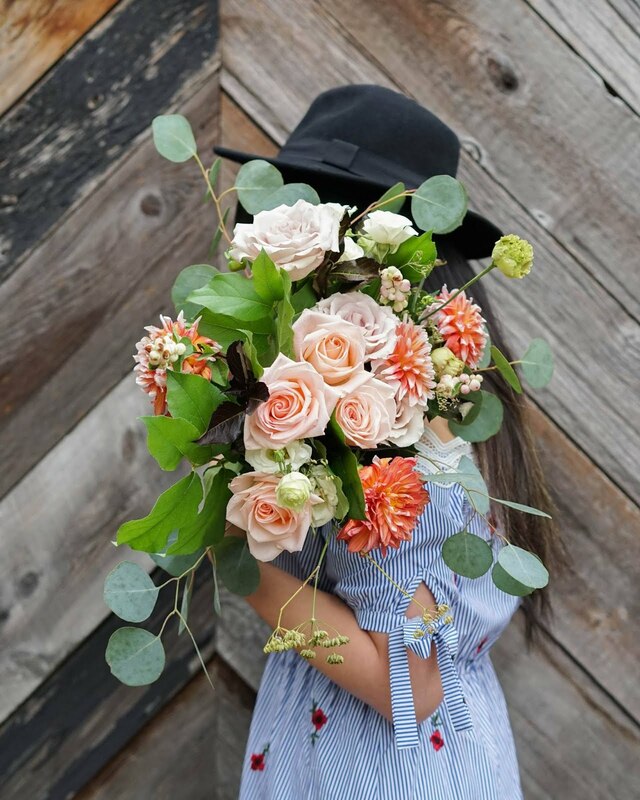 I have tried to incorporate more of the latter on a daily basis — capturing unorchestrated scenes of my 8am coffee, diaphanous florals and each of their petals, and places that made me wish time would remain suspended for just a moment longer. This has really allowed me to step out of my vapid routine of taking photographs of a cake staged on my white marble table. Cake layers, overly familiar white marble table, the same cake stand, and a vein of discontentment running through it all. In the last few months I have really struggled with the direction of this blog and my photos — everything felt too predictable, too routine. I resonated with this sentiment even outside of the blog as well. I found a routine and I got comfortable. And this type of comfort is not necessarily the type I yearn for. It is a comfort that is a little too much intertwined with indifference, in that quiet little fear that manifests itself slowly. Recently, though, I have found a new meaning to 'home is where the heart is' and it has necessitated what I feel now. I never thought much of that phrase in the past. That adage seemed as much prosaic as everything I have been aimlessly doing. Now, this renewed sense of home seems much more clear and concrete — I have found my heart situated in unexpected spring blossoms, in the quotidian I use to look past, and in all those quiet coffee-soaked mornings spent with the right person that I wish would last much, much longer. I have learned that not everything has to be orchestrated, that the placement of each baby's breath on the cake does not have to be overthought, and that there is perfection in imperfection. And more importantly, that everything will eventually fall into place and that the sense of home can be found in places and people in the most unexpected and unpremeditated ways. 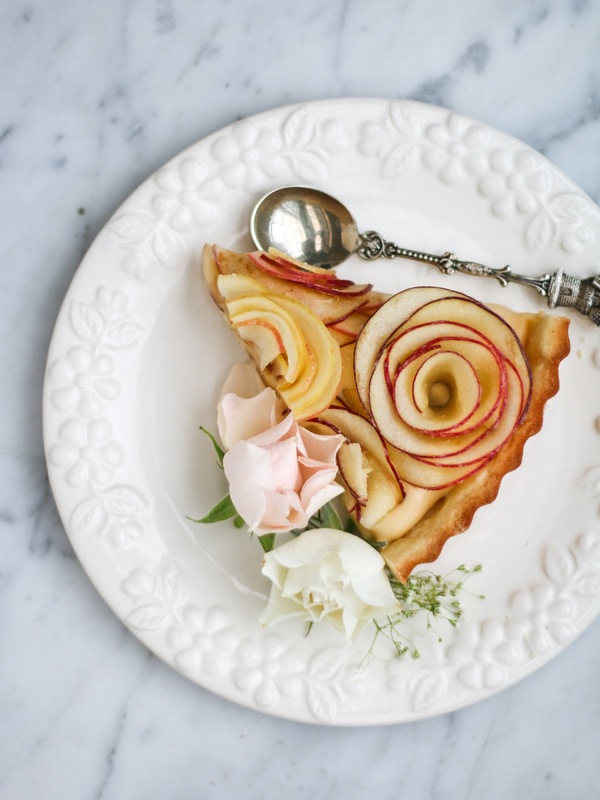 Originally this apple rose vanilla custard tart was made with the intention of being shared on Valentine's Day. 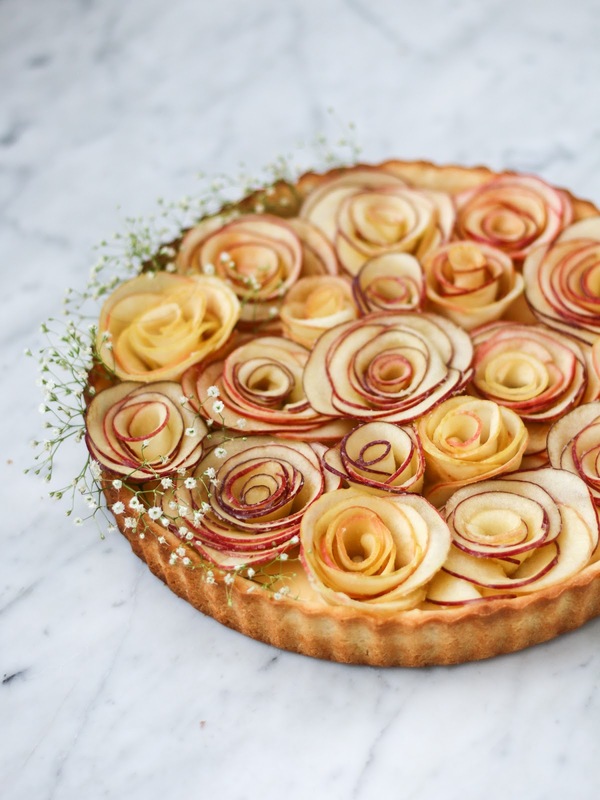 My good friend Anna and I made and photographed this tart back in January. I spent quite a bit of time editing the photos and actually had all the photos ready a week before Valentine's Day. I somehow lost all my edited photos that I spent countless hours on and that really deterred me from finishing up the post. I posted a champagne cake for Valentine's instead. This tart was something I really enjoyed making with my friend (and eating as well!) so I knew I still had to post it, even if it meant dedicating some extra time to it. So after some delay, here it is. 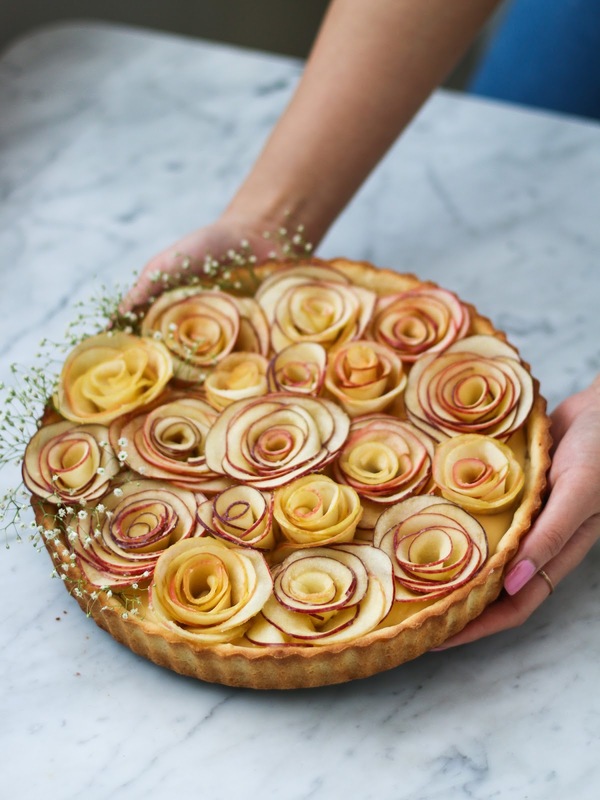 Apple rose vanilla custard tart, possibly some of the most beautiful flowers blossoming this spring. Bake the tart shell at 410F or until the crust is golden brown (approximately 15 minutes). Remove carefully from oven and let rest on a wire rack. Let cool completely before filling with vanilla custard. Whisk egg yolks, cornflour, and sugar in a heatproof bowl until well combined. Remove vanilla beans from milk mixture. Pour hot milk mixture over egg yolk mixture, whisking constantly. Return mixture to saucepan over low heat. Cook, stirring constantly, for 10 -15 minutes or until custard thickens and coats the back of a metal spoon. Over low heat, combine orange juice, sugar, and butter in a medium-size pot. Place the slices apples in the sugar, butter, and orange juice mixture. 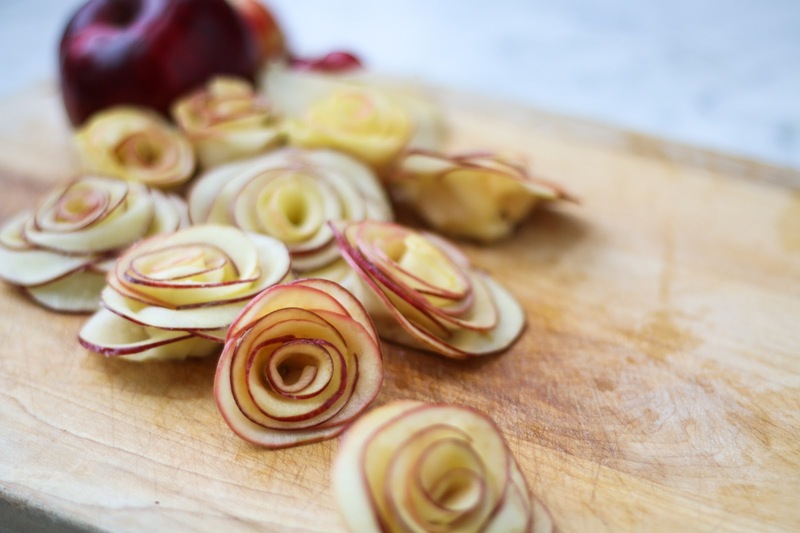 Leave apples to soak for 10 minutes until they are pliable. 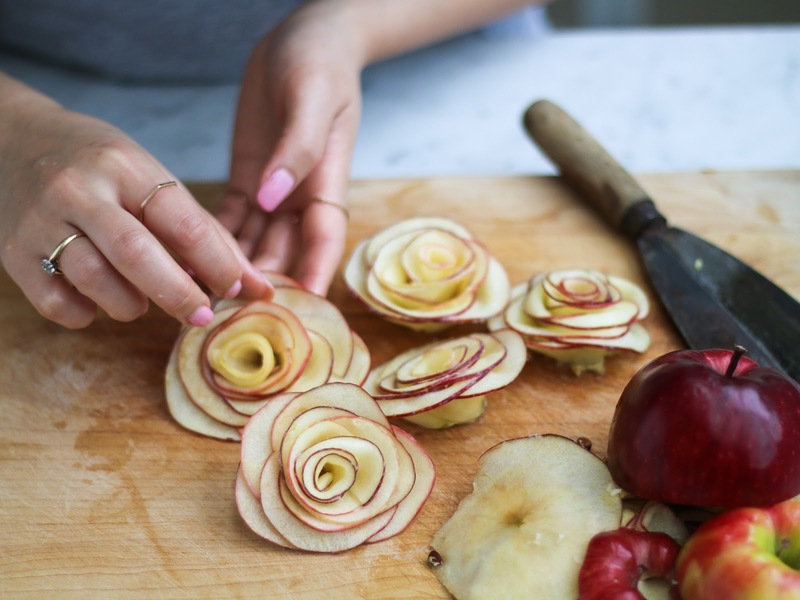 Start with the smaller apple slices first, roll apple slice so that both ends of the slice overlaps a little. Taking a slightly larger slice, build a second petal on the exterior of the first rolled slice. 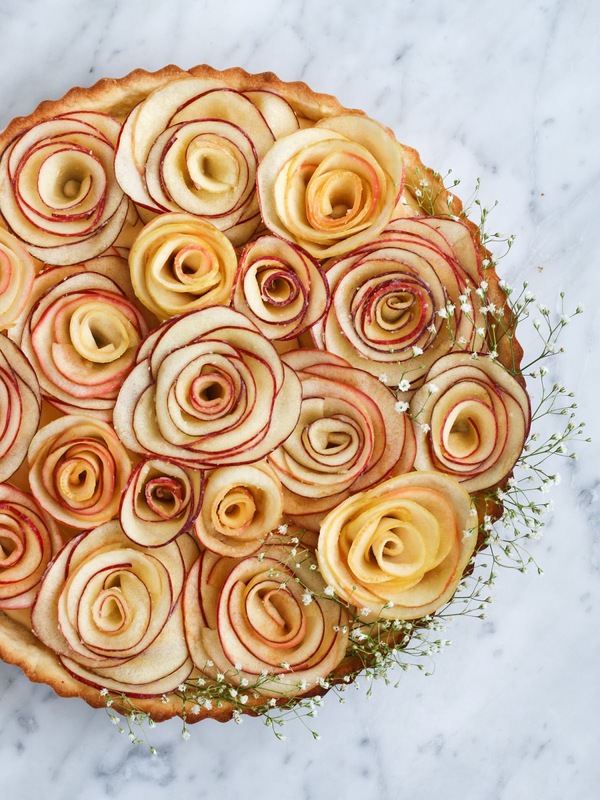 Continue until you have a fully "bloomed" apple rose. 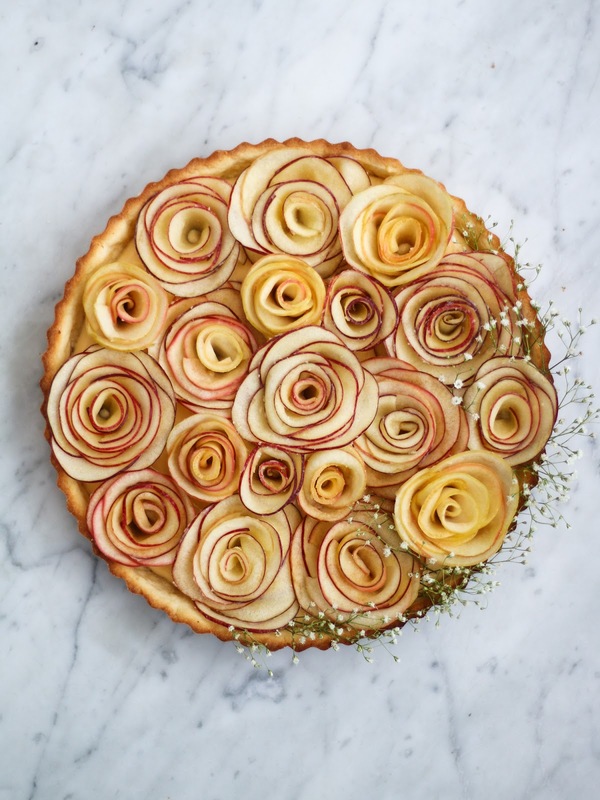 Arrange apple roses into the custard-filled tart. Home is "definitely" where the heart is, and I can tell you put your heart into everything you bake!!! Amazingly, I have never seen this type of uniqueness before really its amazing and seems very yummy. This looks so lovely! 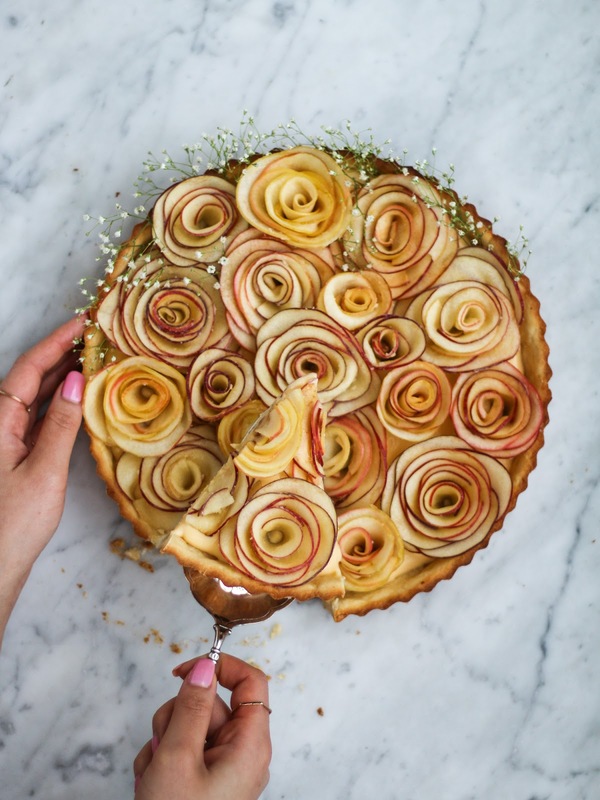 What size tart pan did you use? This is such a lovely dessert, I will absolutely give it a try! Would this keep if I made it 12 hours ahead of time?